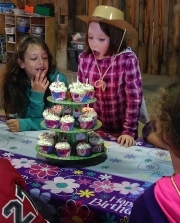 Waverlea had such a great time at Camp Treetop this summer that her mom wanted to turn the experience into a party! 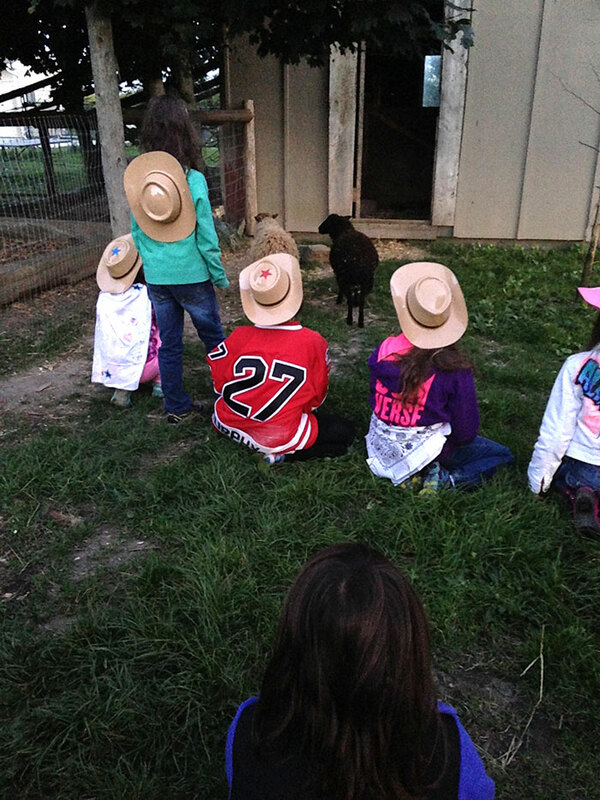 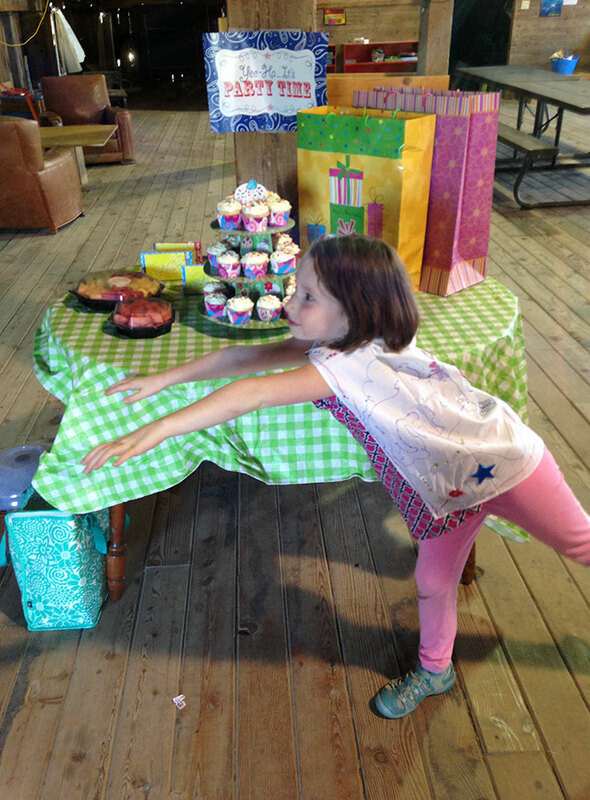 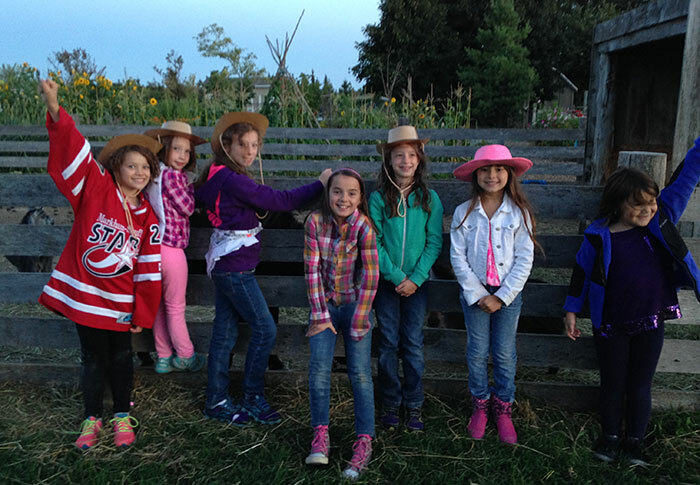 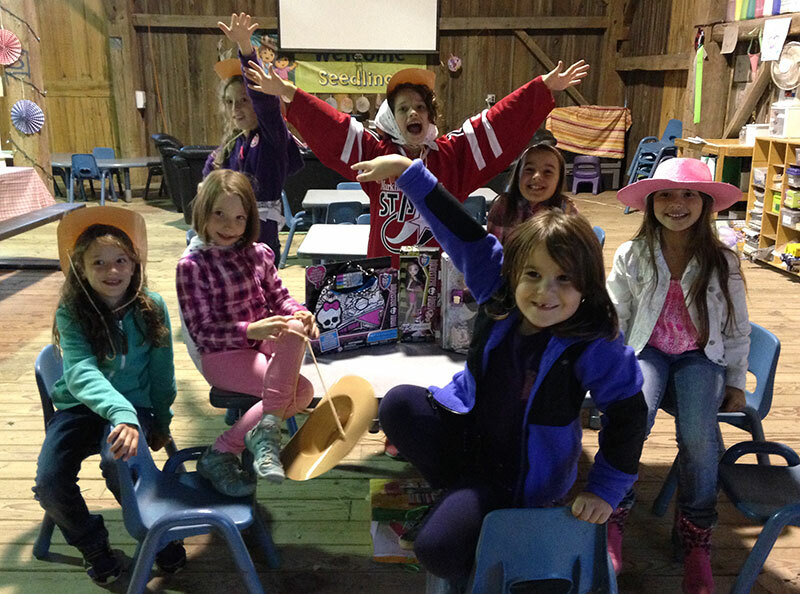 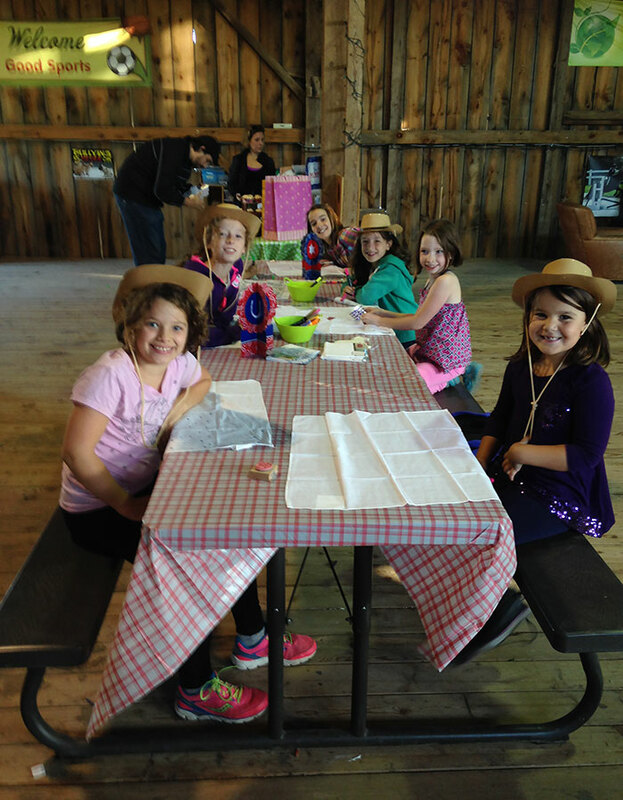 In August Waverlea celebrated her 7th birthday at the Earthbound Kids farm with some of her ‘cowgirl’ friends! 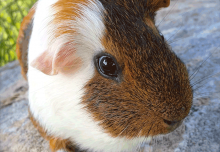 The seven little cowgirls had a fun filled evening decorating bandanas, having rides on Snickers (one of our ponies), visiting our small animals (especially playing with our lambs Palm and Beach), and finishing the night off with s’mores by the campfire. 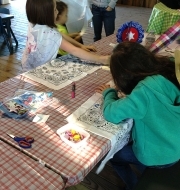 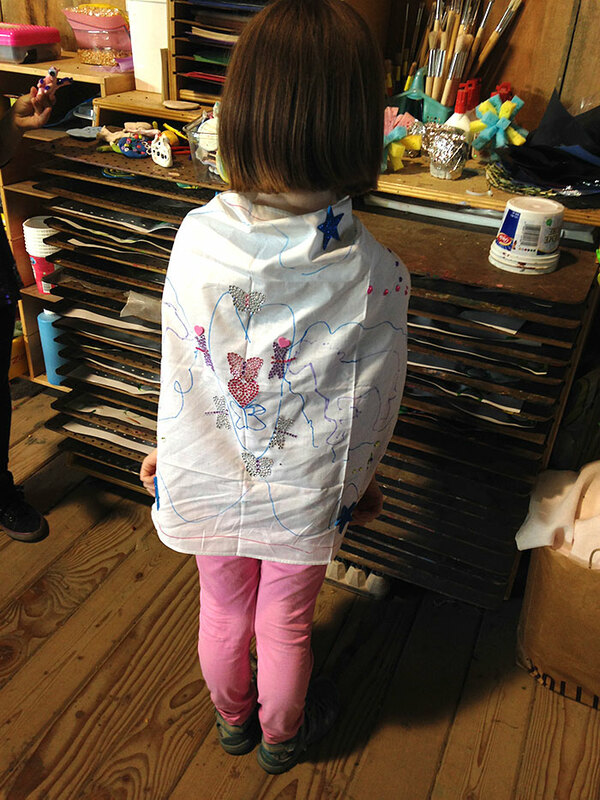 All of the girls were very creative with their bandanas, drawing pictures of horses and all sporting them differently; on their heads, around their waists and Waverlea even made her bandana into a cowgirl cape. 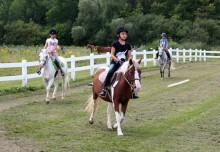 This was a great group of girls and we would love to have them back! 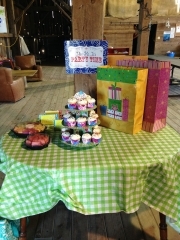 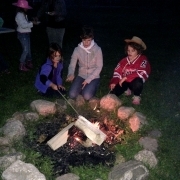 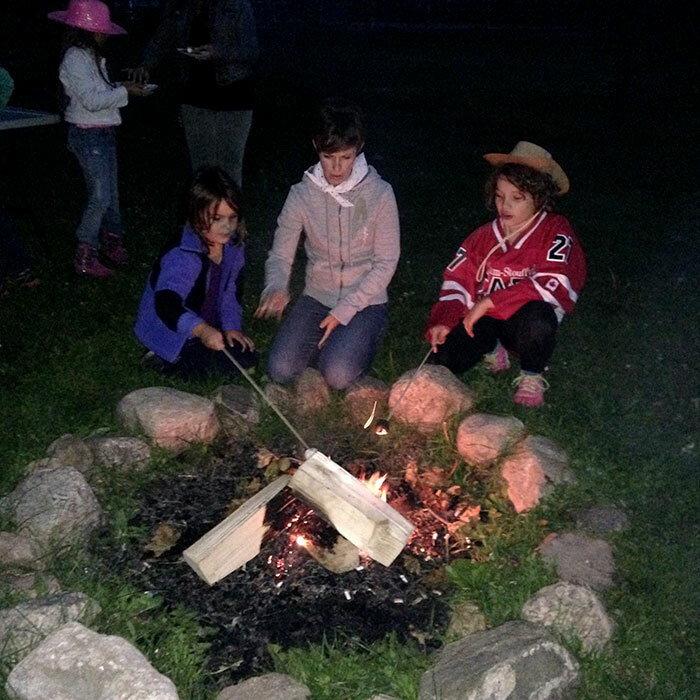 This was our Cowboys and Cowgirls party package which includes a themed craft, pony rides and s’mores by a campfire!